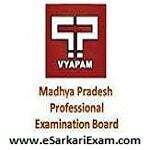 Eligible Candidates can Download Exam Result at the Official Website of MPPEB. Click on Group 2 Sub Group 2 Combined Recruitment Test 2018 Result Link. Fill Login Details and Click Search Button.